As retail has declined in the US, stores are finding new ways to connect with shoppers and create special or convenient experiences. 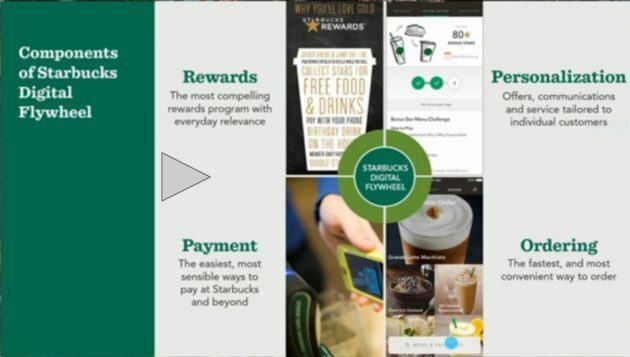 Starbucks has achieved this by building what they call their Digital Flywheel, focused on four pillars: rewards, personalization, payment, and ordering. In Q3 2017, 9% of Starbucks orders were placed in advance and 30% were paid via the company’s mobile app. These astonishing numbers show that Starbucks is changing consumers payment behavior to an extent that no tech company has been able to accomplish. For comparison, only 5.5% of Apple users use Apple Pay given the chance. The company announced that it will now allow non-rewards members to use the app and is redesigning its stores to better suit the increased order ahead traffic as they expect this will continue to grow. Starbucks has identified an opportunity to drive customer loyalty and increased spending through their mobile app. Currently, 18% of Starbucks’ 75 million customers are members of their mobile loyalty program, but they represent 36% of sales. Furthermore, in Q3 2007, spending per member increased 8% which is double the rate of the company’s same-store sales. By personalizing the app and pushing new products to upsell customers to more expensive or additional items, Starbucks has drawn more value from their customers. Additionally, Starbucks has leaned into digital partnership to spark growth. In China, their partnership with Tencent resulted in 2 million gift transactions in 6 months. 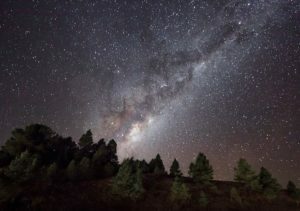 They plan to leverage their close relationships with customers and digital partnerships to achieve growth in the future. 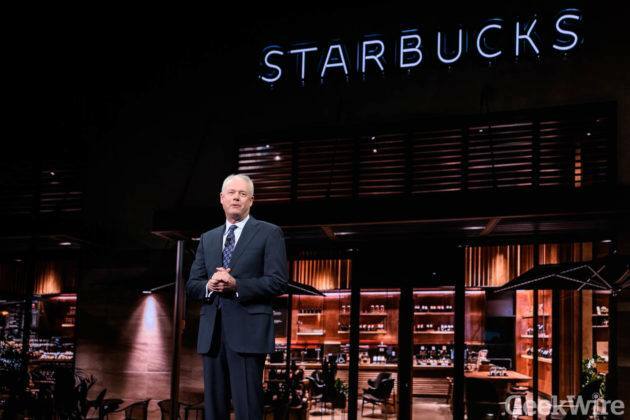 On a recent investors call, Starbucks’ CEO Kevin Johnson, spoke about the “massive disruption” plaguing the retail sector. He says he believes that the “winners” will be companies that integrate digital with their in-store experience. And this is exactly what Starbucks is trying to do with their mobile app and digital partnerships. This is particularly important for his company who has a massive physical foot print of ~27,000 stores worldwide with plans to grow to37,000 by 2021. For every Starbucks store, there are on average, 3.6 stores within a 1 mile radius. Looking forward, Starbucks wants to grow membership and increase personalization through customized push alerts triggered by things like weather. Furthermore, they are integrating the app data into the store experience, so baristas will know when it’s someone’s birthday or other information about the customer so they can give them special treatment. As their database of customers grow and they learn more about spending habits, their mobile loyalty program will drive great growth at an increased rate. When it comes to restaurant chains creating a digital platform, Starbucks is winning. 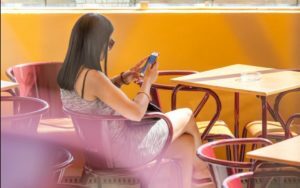 They’ve found a way to meaningfully connect with consumers in a manner that changes consumers’ paying and ordering habits. Dunkin Donuts, for example, has tried a similar approach with less success. In Q3 2017, 11% of sales came from their loyalty program members and mobile orders represented only 3% of total sales. We’ll have to see what the next digital innovation will be for these companies, but at this moment, Starbucks is definitely leading in the race. Starbucks digital transformation has been successful indeed. Looking at the company’s performance overall in 2017, however, digitalization should accelerate further across the chain to capture customer value for two reasons. 1) Growing into a coffee behemoth to a great pleasure of the Street, Starbucks has lost its neighborhood feel and has gained corporate reputation, which leads to struggle of acquiring both aspiring baristas and the clientele. 2) Younger generation of millennials is switching to hipster one-off Aussie coffee shops with piccolo latte and bearded employees. Hence, further digitalization is even more needed to ensure that Starbucks attracts mobile first millennials, combined with review of the whole customer experience inside the coffee shops, which might create tension with investors’ expectations. Great post, Kat! 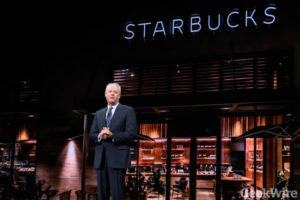 It’s interesting to see retail companies such as Starbucks mitigate the risk of declining in-store retail sales through the use of digital innovation. Another huge value opportunity for Starbucks will be in the information that it can gather from its customers that use the mobile app options. Starbucks will be able to further upsell customers through sending push alerts of advertisements for coffee and food items that they may enjoy based on their previous search information and interests. It’s exciting (but also frightening!) to see retailers gather so much information from their customers and use it to influence customer buying decisions. It’s fascinating how Starbucks is able to use its mobile application to more tightly integrate into its customer’s lives. My concern is that this effort might not perfectly fit into Starbuck’s original position as “the third place.” By bringing more of the experience out of the store, it makes the time in-store a transactional one that could be usurped by a competitor that somehow figures out the mobile experience even better. This makes your analysis of how they can use this information not to just make customer interactions more efficient, but also more rewarding even more important.